Take a break and share a break! 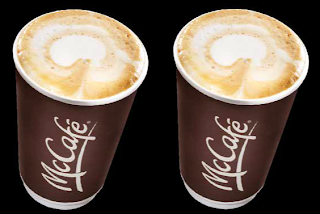 Print your coupon for a FREE McCafe specialty beverage with the purchase of one McCafe specialty beverage at McDonald's. This offer is print only and is a limited time offer. Coupon expires December 18, 2011.